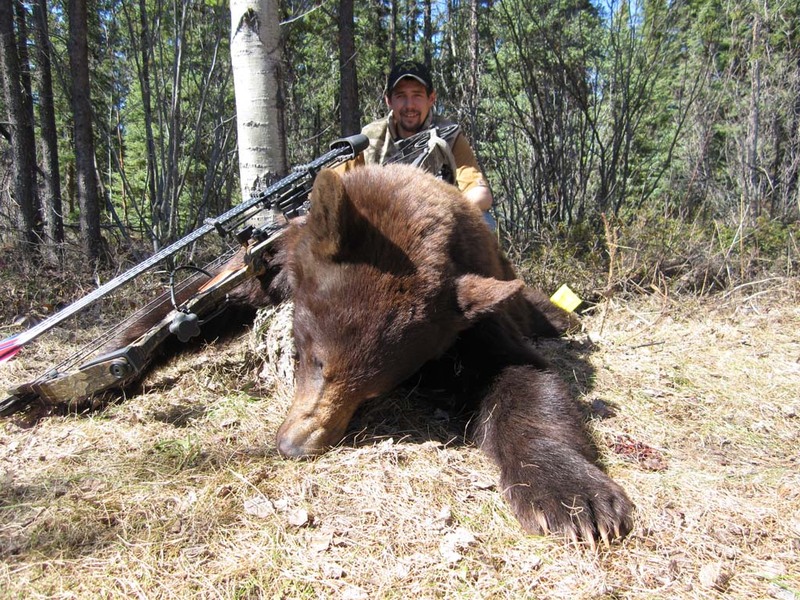 You can enjoy hunting with rifle, muzzle loader, cross bow or bow or any combination of these weapons. 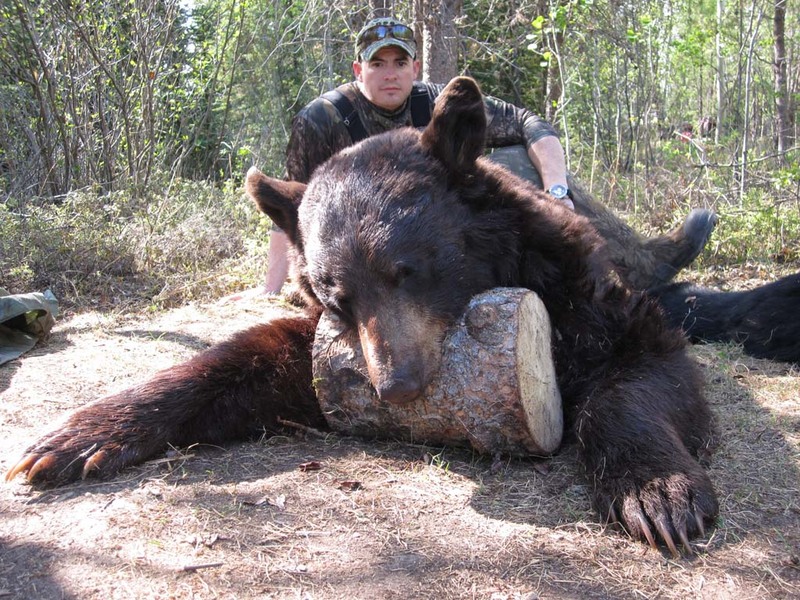 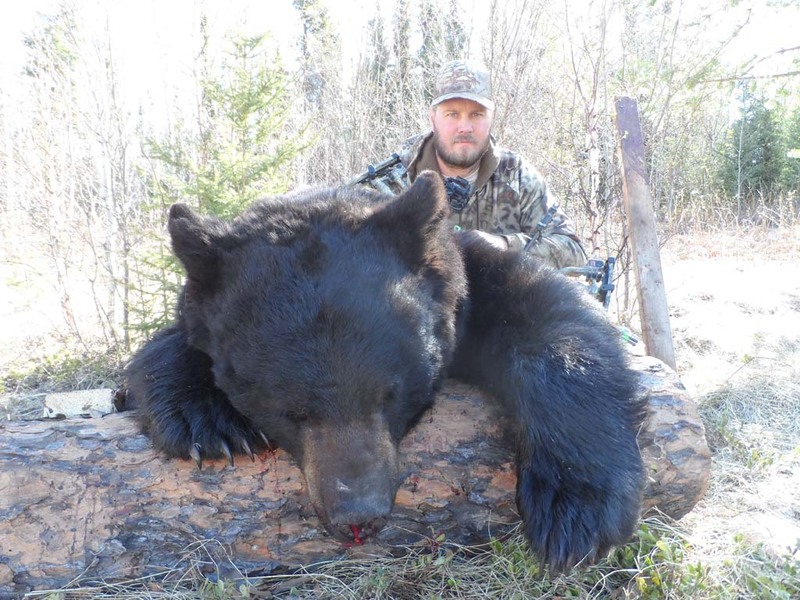 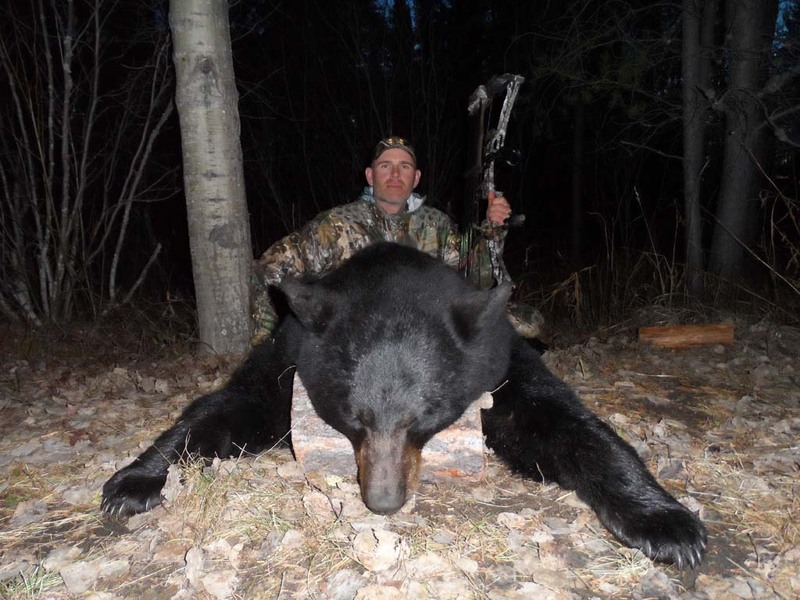 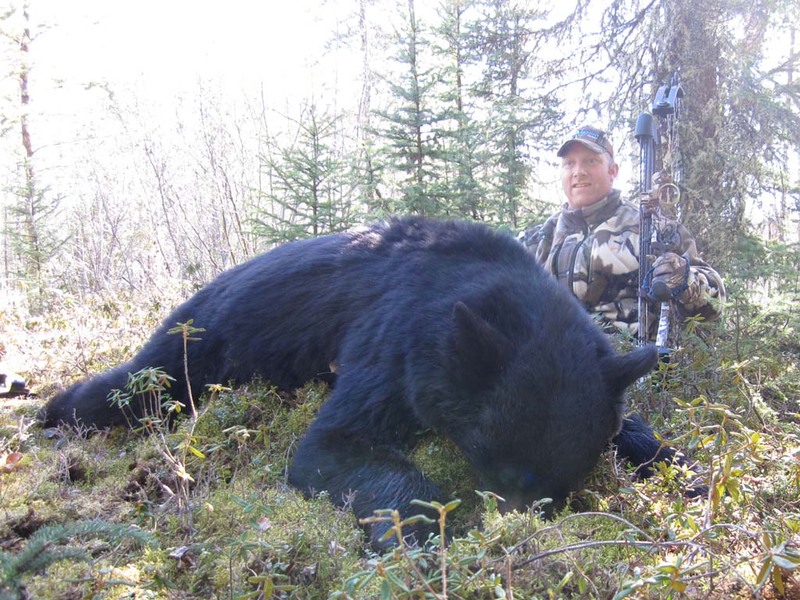 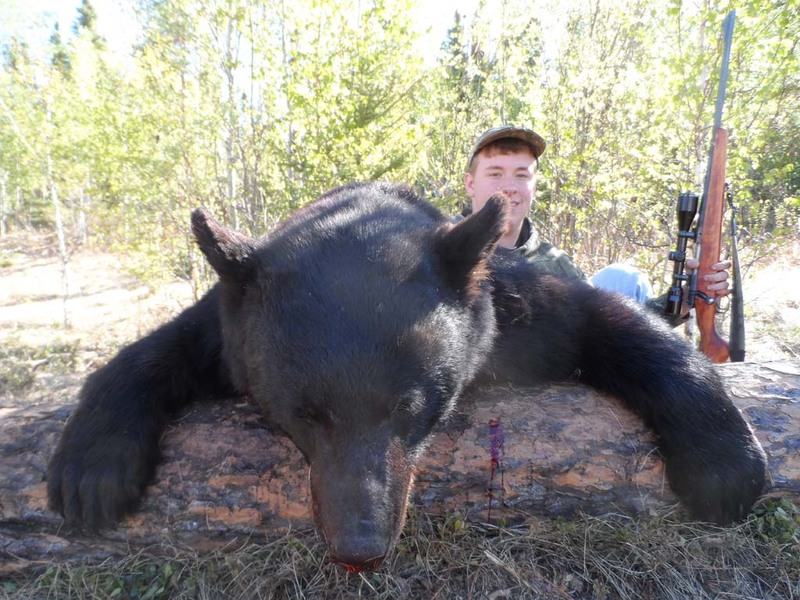 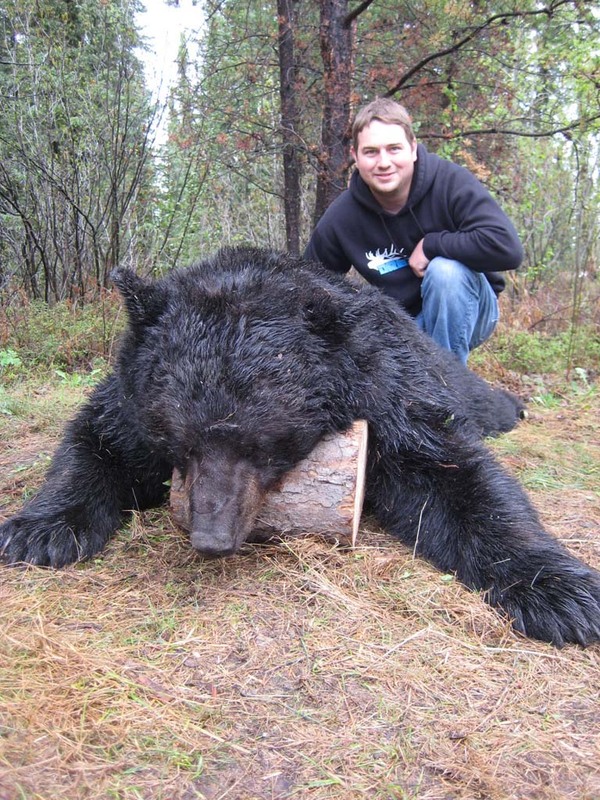 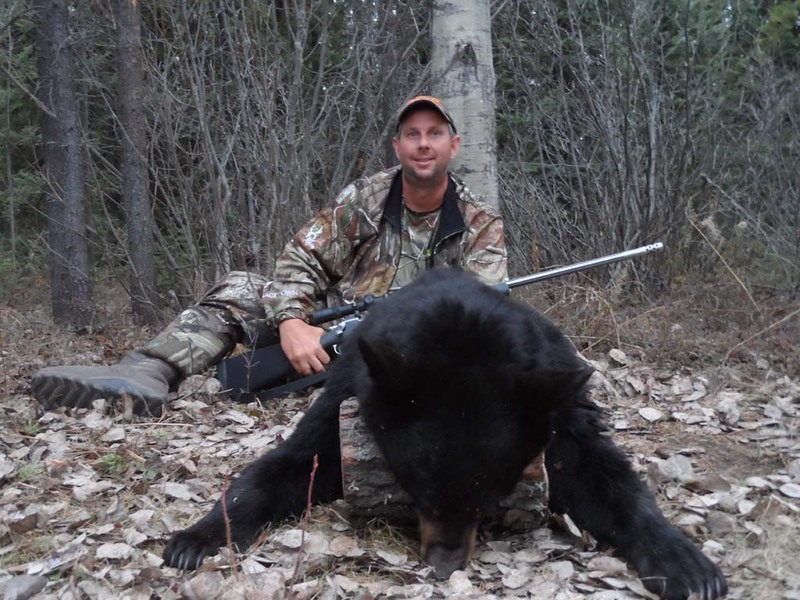 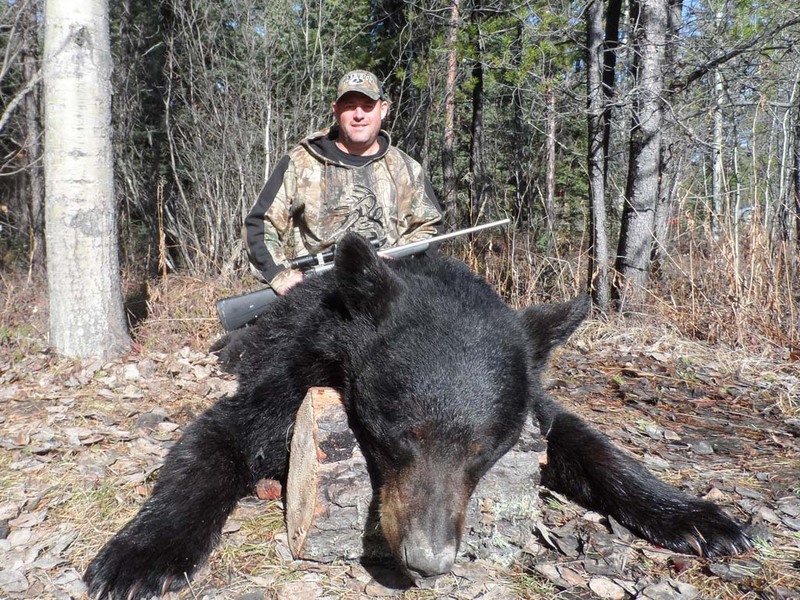 Burnt Lake Outfitters specializes in trophy black bear bowhunting. 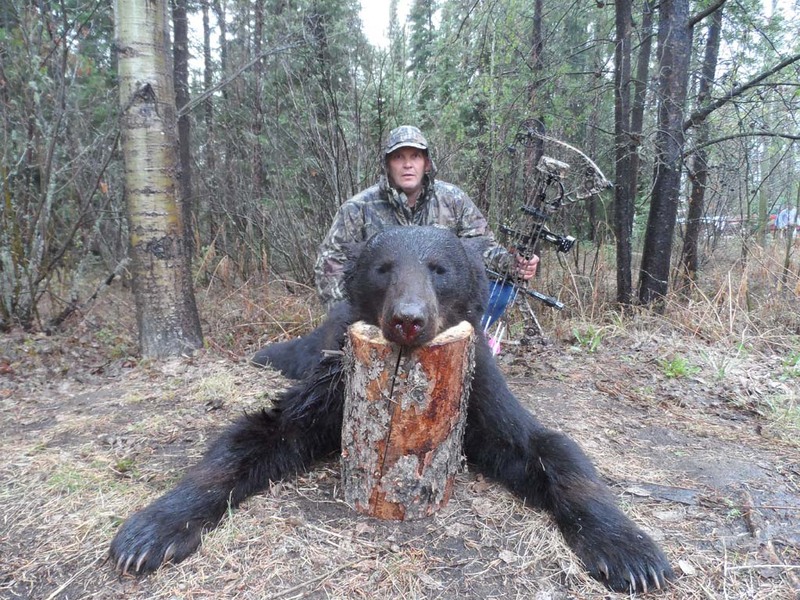 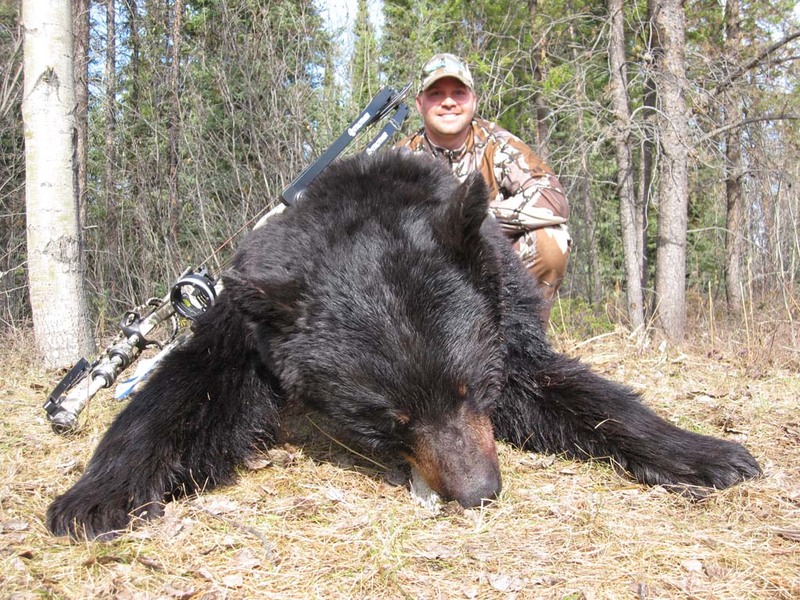 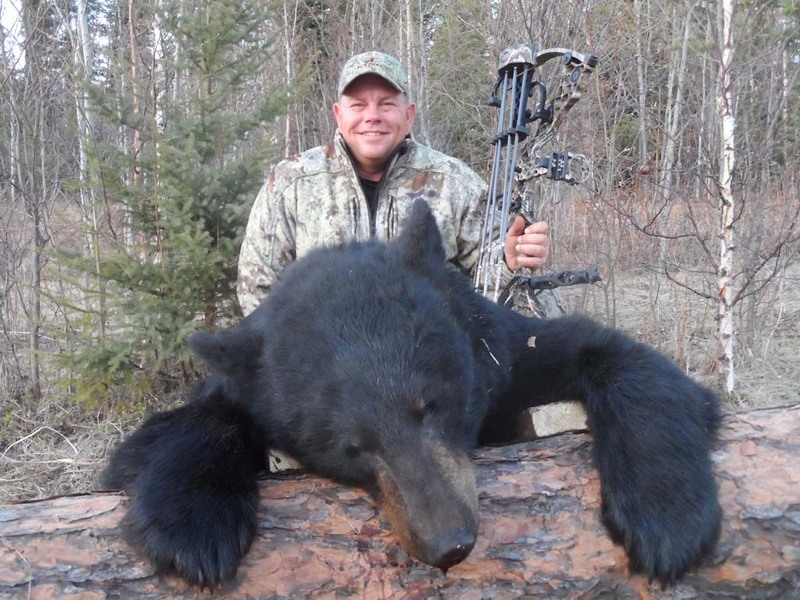 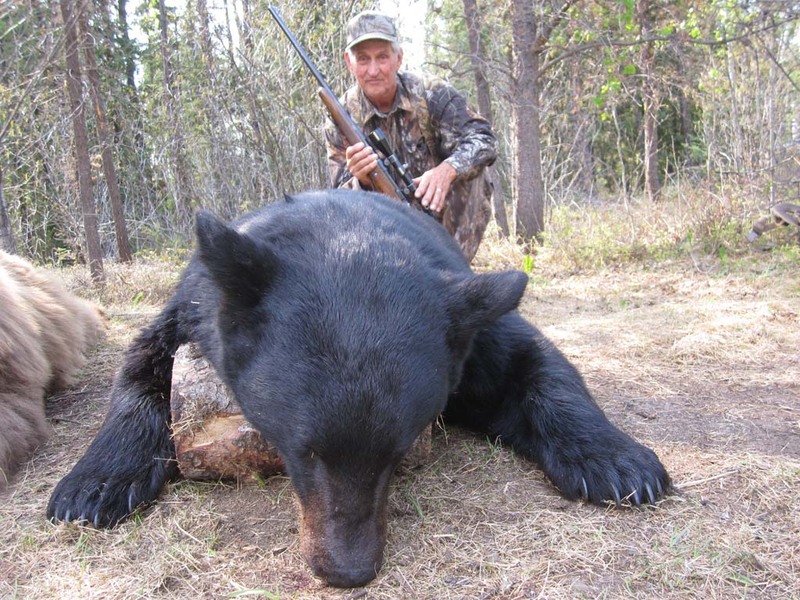 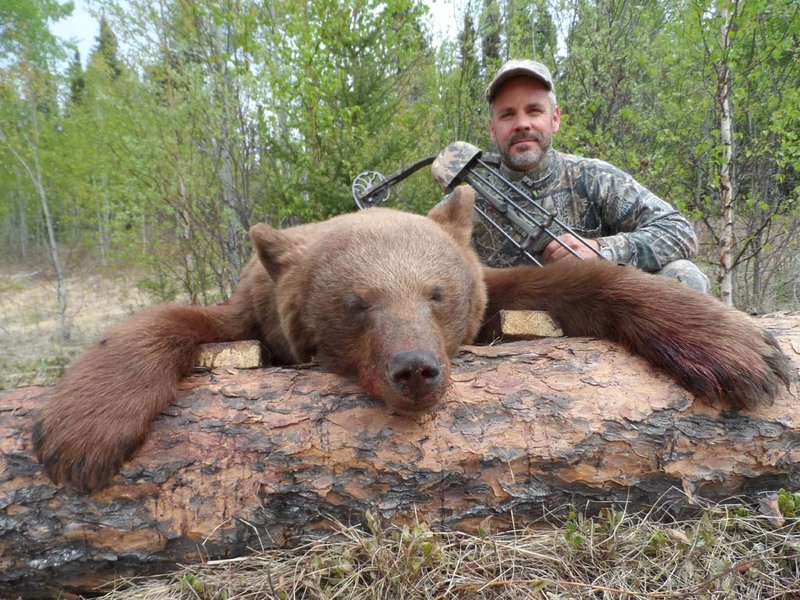 With bow hunting becoming more popular every year, archery black bear hunts are always a priority to any bow hunter. 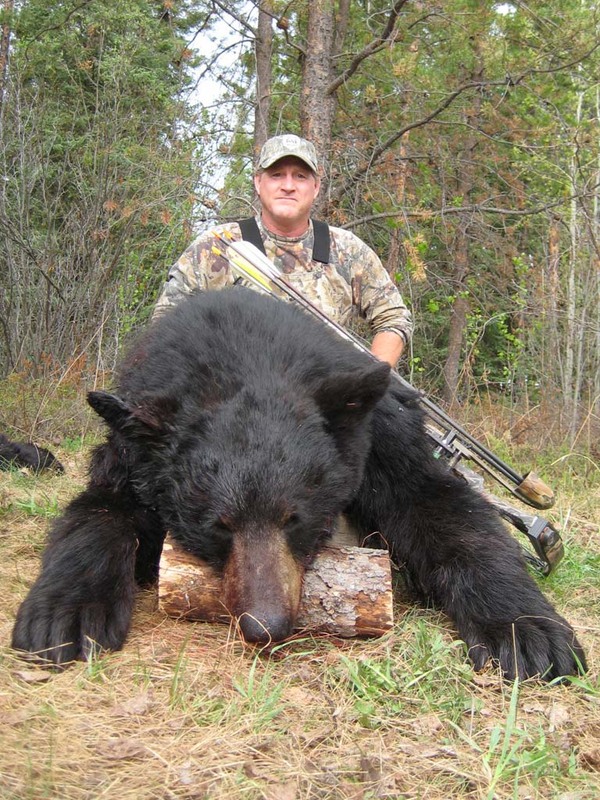 We specialize in paying attention to detail when bow hunting trophy black bear. 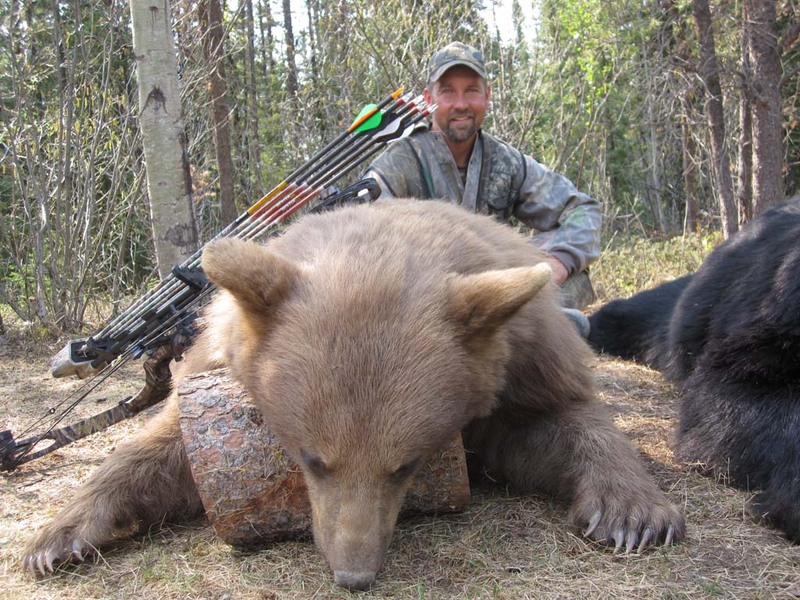 Most shots are less than 25 yards to ensure good arrow placement and confidence. 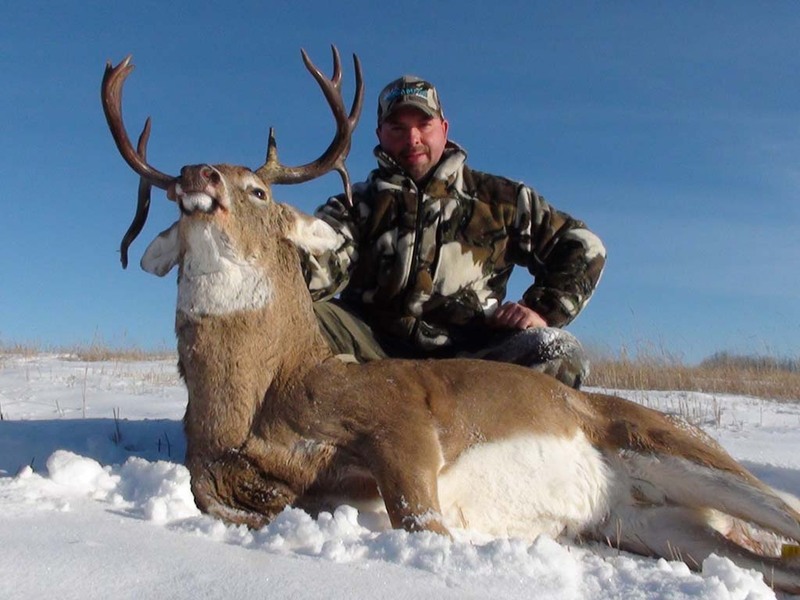 All bow hunts are conducted by using tree stands, ladder stands over prime baits. 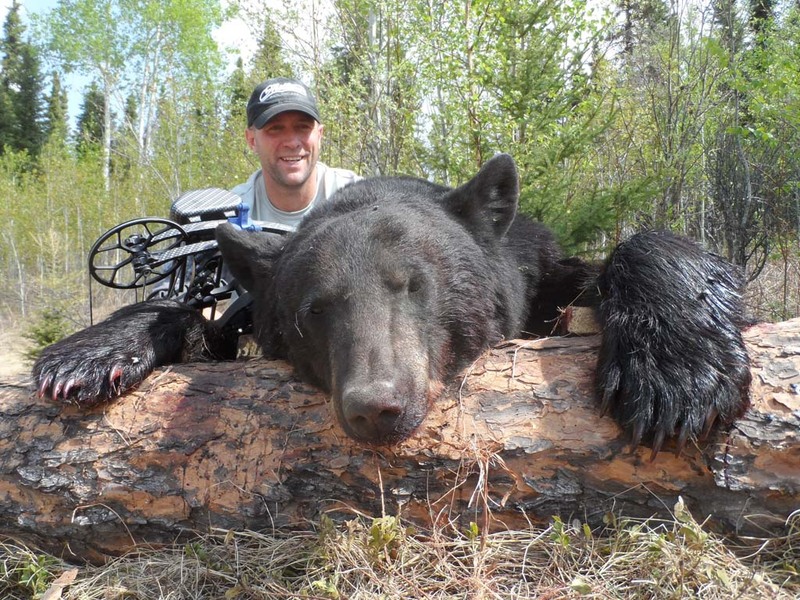 By using portable stands instead of permanent stands allows us to properly set up the bow hunter. 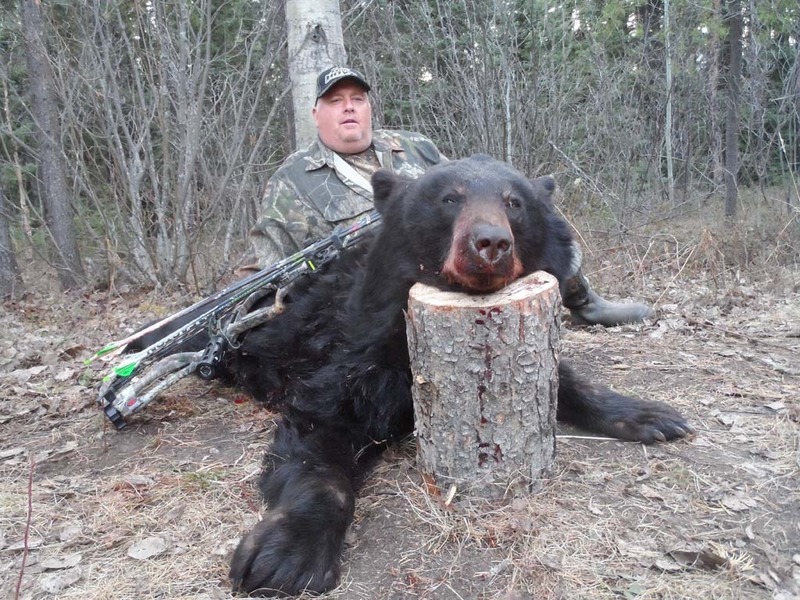 Larger bears tend to need more confidence to come to the bait so the set up is very important. 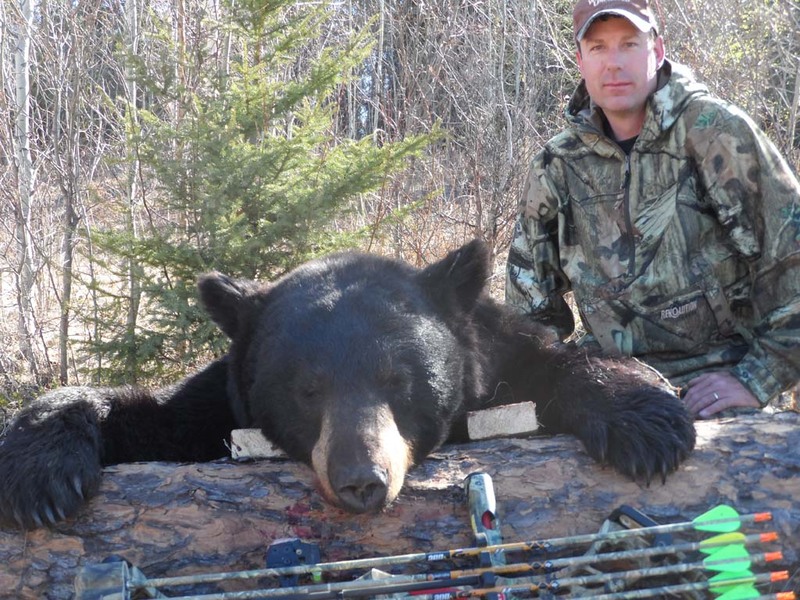 Rifle, muzzle loader and cross bow hunter’s experience the same set ups but at 40-60 yard shots. 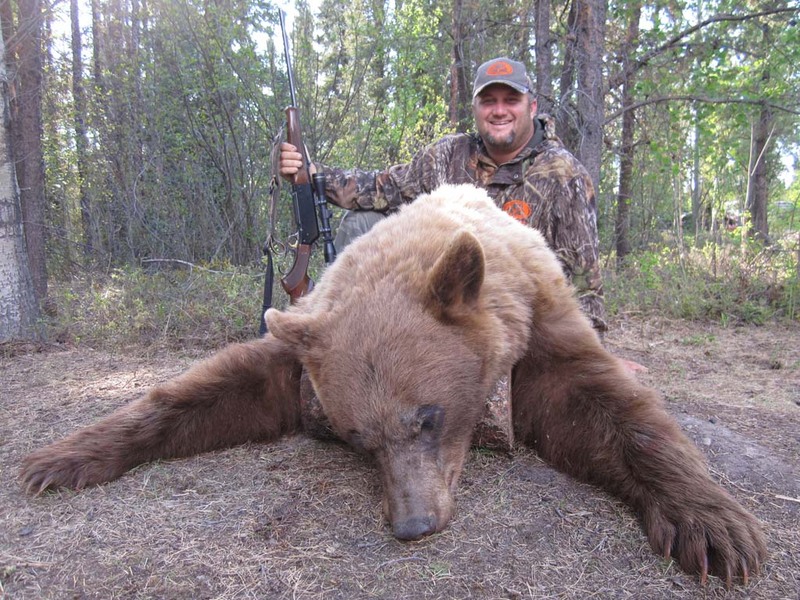 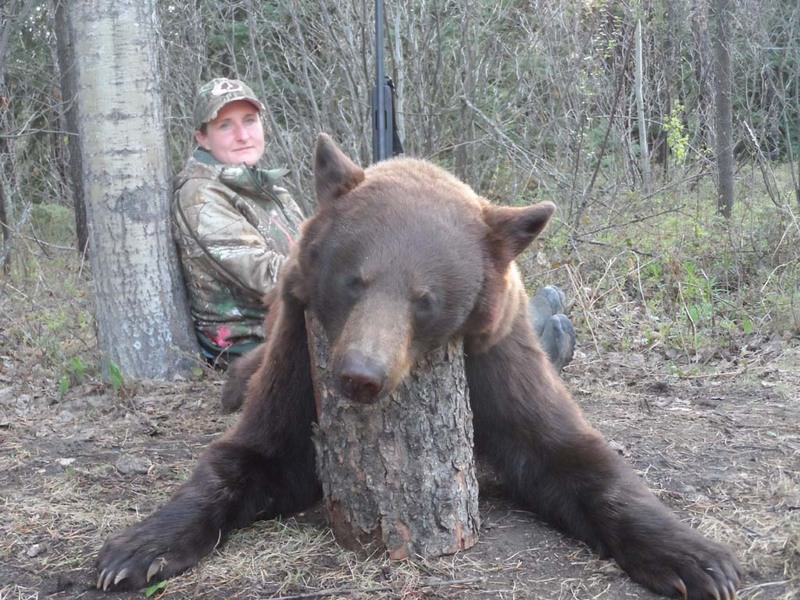 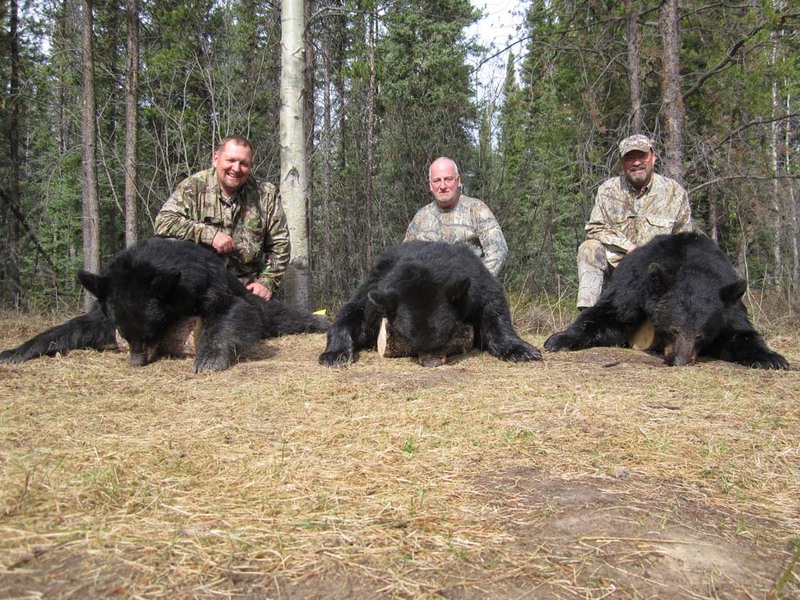 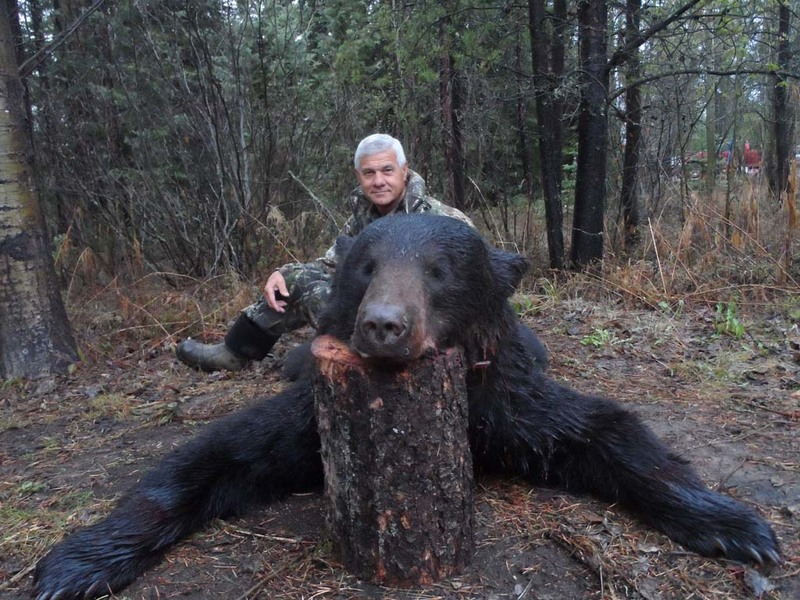 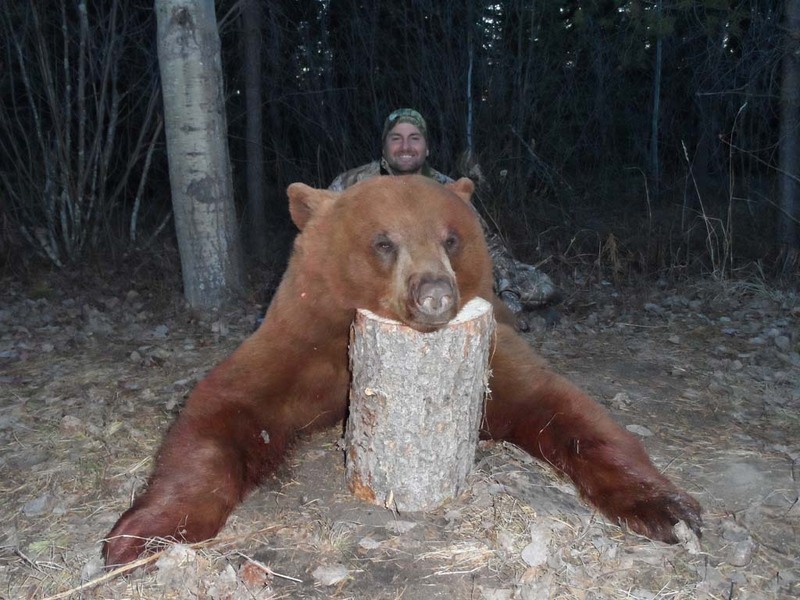 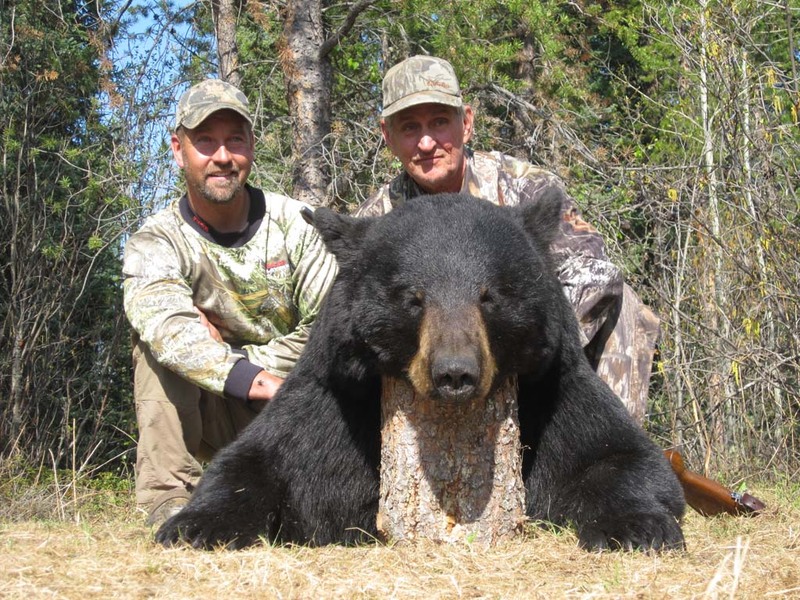 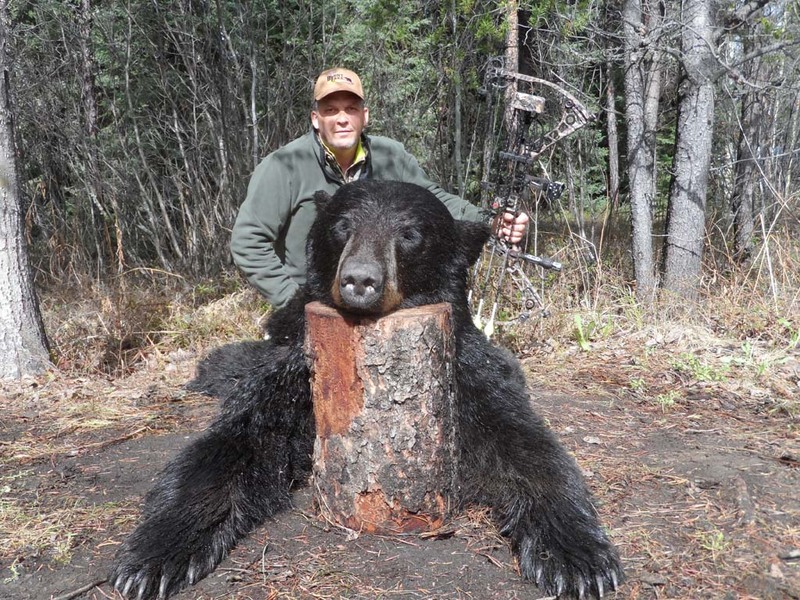 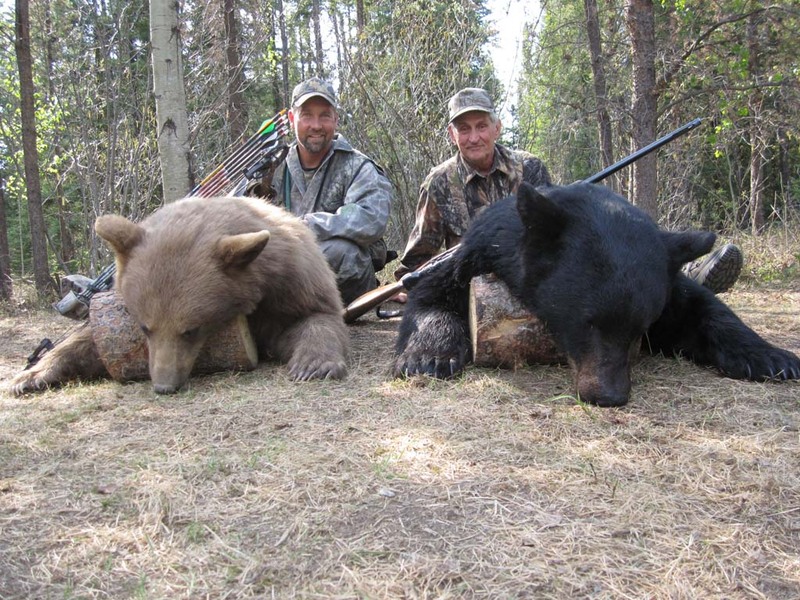 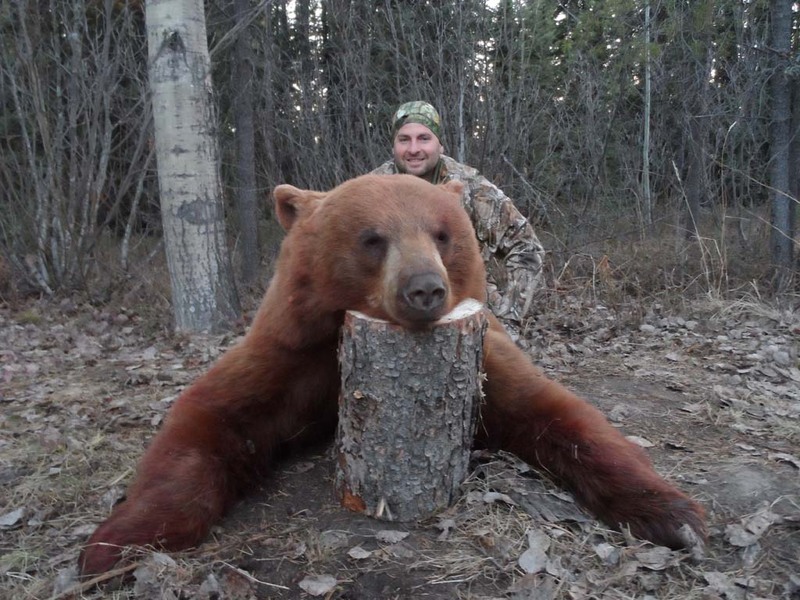 Hunting these Alberta trophy bears can be very challenging, patience and persistence is required.